Rocks!! members Ania Derecka and Andrew Breckon got married 5 years ago in Algonquin Park. Most thought that would be hard to top. But 2 beautiful children later and a woman's Polish roots brought Ania and Andrew together one more time to do it properly...at St. Casimer's Polish Catholic Church. The celebration was extraordinary. The service was in both Polish and English...I was never sure which language we were in. The congregation was made up of as many young folk under ten as there were adults. What a zoo...in a good way. Afterwards another treat followed. Not only were we fed - Polish style but the crowd - especially the kids - were treated to a magic show by the Amazing Rene. What a great day for two good people. 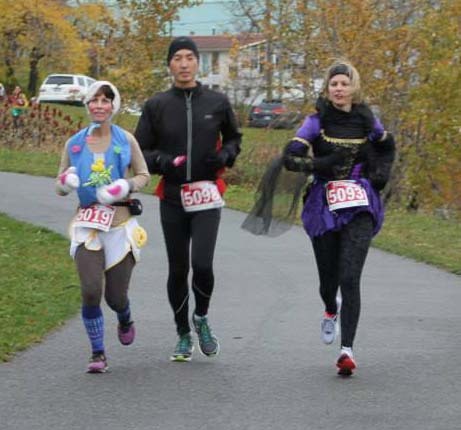 Tawnie, Will and I ran our 3rd Haunted Hustle on Sunday and agreed it was the best yet, other than the weather which was wet and cold. We decided not to race it and just used it as a training run for their next adventure which will be the Dopey challenge in January. We were wondering why we seem to keep skipping a year and I have concluded that the pain of the hills is still fresh in our minds the next year but then the year after that we only remember the warm people, fun atmosphere and the great food so we do it again. This year they gave a really nice jacket and a great medal. The course was well marked and the volunteers were so encouraging. I actually think I've already forgotten the pain of the hills and am planning to run it again next year. Under grey skies and a stiff wind, Lucas McAneney won Sunday’s Niagara Falls International Marathon on his first attempt. He seemed like the least surprised person to do it. Munching a muffin while accepting congratulations, McAneney was all smiles as he watched the rest of the field arrive. 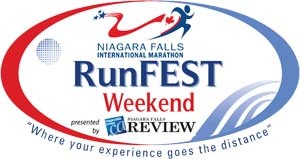 Already familiar with Niagara (his girlfriend’s family lives here), he decided to make the Falls run his third marathon of the year, and just his eighth overall. It wasn’t even close – he defeated runner-up Josephat Ongeri of Hamilton by a minute and a half, and the third place finisher, Brendan Kenny of Dundas, by eight minutes. The men’s record for the full marathon is still 2:10:19, set by Anthony Sandoval in 1984 when the event was host to the U.S. men’s Olympic marathon trials. McAneney is eyeing the 2016 Summer Olympics, and plans to compete in next year’s Commonwealth Games. He’ll need to improve on Sunday’s time to qualify, but he was satisfied with his effort coming off a stress fracture in his right foot which prevented him from running for seven weeks. Wiltse has done the marathon for years but usually ran the half-marathon (21 K). She made the leap last year to the full run, and hasn’t lost since. 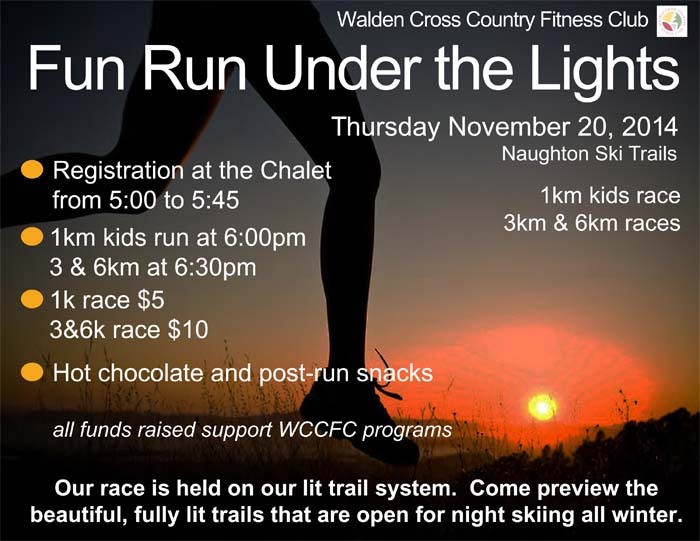 Juggling a full-time job and raising two kids, she still trained more than ever for this year’s run, running about 150 kilometres per week. With her victory in tow, she planned on a “hot bath” before her five-hour drive home. 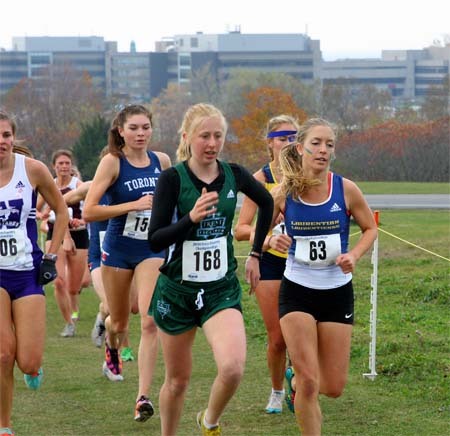 The Laurentian women’s cross-country running team earned a berth at the CIS National Championships this weekend by placing 6th at the OUA championships in Kingston. Laurentian needed a top-six finish to qualify for nationals, a daunting task with five teams in the race ranked among the top-eight in the CIS. 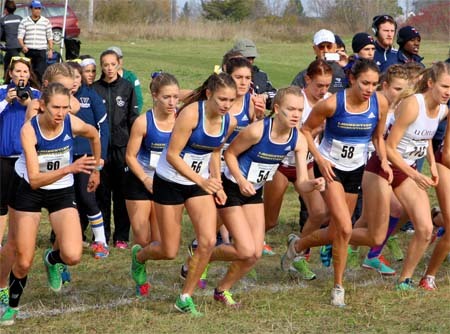 Running on a firm but windy Fort Henry course, the Vees improved their positions dramatically over the final two kilometres to move into sixth place. They set yet another team record with a top-five average time of 22:30 for the 6km distance, a time that is equivalent to 18:28 over a 5km race. Once again, team running was the key for the Voyageurs, as their five scoring runners crossed the finish line within 17 seconds of each other, the best split of any squad in the race. They were led by Emily Marcolini, who finished 27th in a time of 22:22, followed by Katie Wismer, who placed 28th, also in 22:22 and Michelle Kennedy, 32nd in 22:33. Samantha Edwards finished in 33rd in 22:34 and Maddy Bak completed the scoring with at time of 22:39. Emily Driedger and Marissa Lobert acted as displacers finishing in 54th and 57th with times of 23:21 and 23:28 respectively. Wismer, Edwards and Bak set personal bests with their performances, while Driedger’s time was a season’s best. Laurentian finishes the week with a cumulative 39/13 win/loss record and a 10th-place CIS ranking. Their next race is the CIS championships on November 8th in Saint John’s, NF.